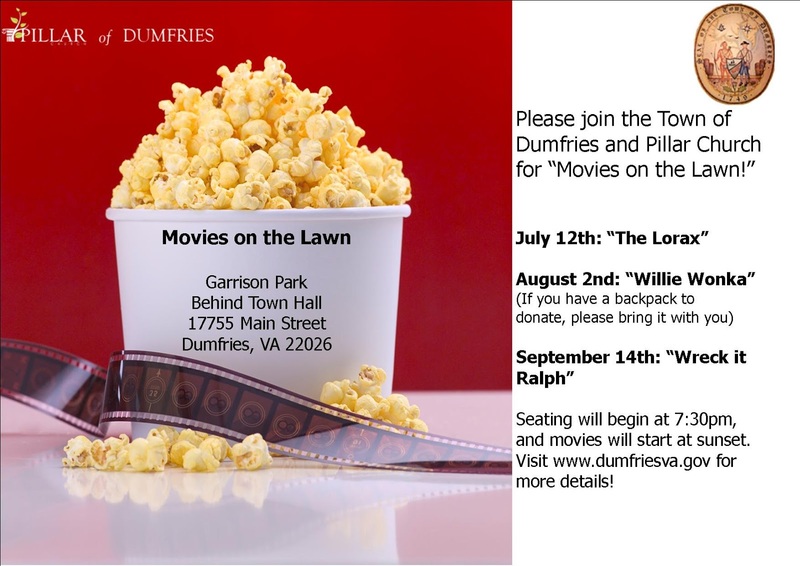 Join Pillar Church of Dumfries and the Town of Dumfries for “Movies on the Lawn”! They’ll be showing family-friendly films over the next three months, including “The Lorax” on July 12th, “Willie Wonka” on August 2nd, and “Wreck it Ralph” on September 14th. Seating begins at 7:30pm and movies will begin at sunset. This is the summer 2013 schedule.